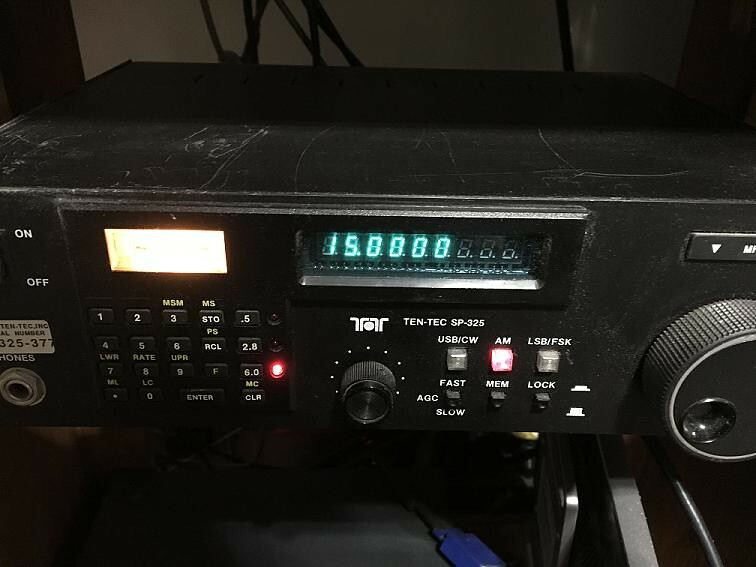 The Ten-Tec SP-325 receives 500 kHz to 30 MHz in AM, USB, LSB, CW, FSK modes. This radio has an S-Meter and blue vacuum fluorescent digital display. It displays to 100 Hz and tunes in 50 Hz steps. It has 500/2800/6000 Hz selectivity. With 64 memories and scan, switchable AGC. The rear panel has antenna inputs. 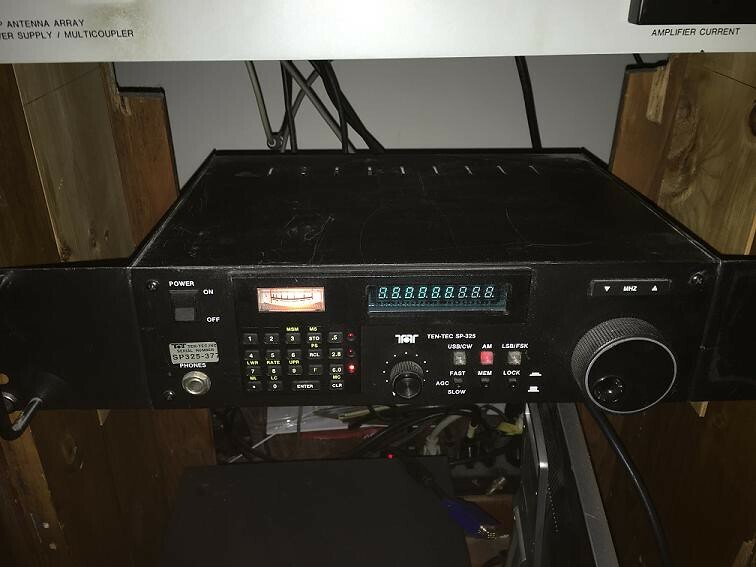 Built under Naval contract as a training receiver. Audio output is strictly to line or earphone output. No Speaker installed. A rack and cabinet version were produced. This is the rack variant. Operates from 105-125 VAC 60 Hz with supplied cord..